Tired of coming home to a messy house? I was too – until I discovered that it didn’t have to be that way. Today I am sharing my favorite home decluttering hacks everyone should know to keep your space clean, organized and clutter free. For your convenience, this post may contain affiliate links. We only suggest brands we know and use. Please see the full disclosure at the bottom of the page. The task of keeping your home clean and tidy may seem like a never ending job. I don’t know about you, but the last thing I want to do during my free time is clean my house. I spent years coming home from work only to spend my evenings and weekends picking up, doing laundry and maintaining our house. Truth be told, it was exhausting and it didn’t take long until I was completely worn out (since I was also raising two small children). Once I hit rock bottom, I decided I need to learn some shortcuts to keeping my home neat and tidy. Today I am sharing a few of those simple strategies with you! These decluttering tips are quick and easy, most of them taking just a few minutes. If you spread them out over the course of a few weeks you will begin to notice your house becoming cleaner with minimal effort. Life is just easier when everything you need to clean is accessible and in one place. This will reduce clutter in your home by creating one space for all of your supplies, instead of keeping them in multiple areas of your house. Create an area to store your favorite cleansers, mops, cloths and dusters. No more wasted time searching when you could me making some cleaning progress. This little DIY hack will make it easy to find anything you need when you are taking care of the housework. Kid clutter drives me cray-cray! In order to keep things under control we split all of their toys into 4 storage bins (one for each season). Then we rotate them anytime they start asking for new toys. This keeps the amount of toys to a minimum, and gives the kiddos the new toy fix they crave. Cook books and recipes cards just add to the clutter and let’s be honest –you don’t use them anyway. Most likely it is faster to go online and find any recipe you need. And online recipes have reviews you know which one is the best right away. Clear off your bookshelves and use Pinterest instead. You can quickly follow them all by clicking HERE. If you’re not careful, piles of laundry can take over your home. I use these simple tips to prevent the laundry from piling up and it works great for our family of four. in a year – toss it! Be sure to donate the items instead of actually throwing them away – to reduce your impact on the landfills though. Making sure you only keep what you need is essential to clean, organize and declutter your home. Mindless shopping makes it very likely that we will buy things we really don’t need in our homes. Make a list of things you need and stick to the list when you are out shopping. I have found that shopping online helps to reduce my urge to buy items that aren’t necessary. Having kids in school takes your need to get organized to a whole new level. Crafts, coloring pages and random papers start coming home on the daily and what is a mama to do? Once you’ve safely narrowed it down to the items you will keep you need to start a bin for each child. This version is easy to manage and will help you clear up the school work clutter in no time. Most the time we only think of clothes as clutter when they are lying on the floor. However, clothing can also create visual and mental clutter even when stored in drawers and closets. Clothing clutter can cause frustration when it prevents us from finding what we are looking for. It can also cause overwhelm when we simply have too much clothing and we can’t decide what to wear. One of the easiest ways to reduce clothing clutter is to store off season clothes out of sight. Most professional organizers will tell you to have “a place for everything”. 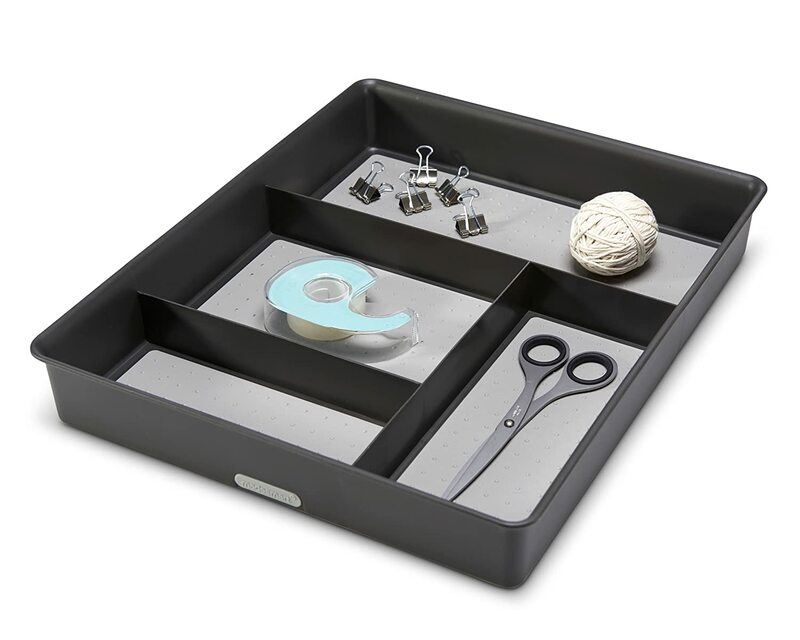 In order to tame the craziness that lurks inside your junk drawer simply pop in a few of these small organizers. Viola! Just like that it is easier to find what you are looking for. This is simple and easy. Fold your extra sheets and slide them right in. Bam! Organized linen closet, here we come! Use a bill organizer to file all of your paper receipts, bills and other important documents throughout the year. The one I recommend is organized by month which makes it easy to find anything you need at a later date. It also makes tax time a snap because all of your paperwork is in one place. There you have it mama! 10 DIY Home Decluttering Hacks to get your space clean, organized and decluttered. We would love to hear from you! What is your biggest household challenge? Please comment below!